Our sister-site MobileMentalism.com, recently reported a twist in the use of the Google Media Server which meant you could effectively turn your mobile phone into a remote control. Apple (slightly behind the times) has release a freebie which they are calling Remote… nice to see they thought long and hard about the name. Read on for more details. Once installed this freebie from Apple will turn you iPhone or iPod touch into a remote control for your Apple TV and iTunes. Apple have reported you can also control iTunes on your PC and Mac, so they have not completely stopped you from using other company’s software. 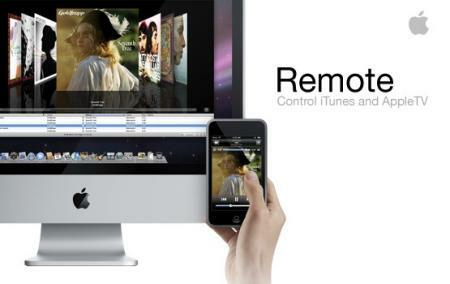 Remote works by using the WiFi capabilities of the two devices to access you media store. Once connected you can access playlists, search your library, and even control your AirTunes speakers. There is certainly something lacking for me, in a world which is opening up the possibilities, allowing you to access information and applications like never before. Apple is still there saying, you can’t do this, it is ours, we will let you use our software but you will only be able to access the media in your iTunes. This is a mentality which worked once in a while but when you have things like, Google Media Server or Orb, why should you settle for only accessing media in your iTunes when you can access all the media on your PC, Mac or Apple TV. If all you want to do is access your iTunes then give it a go but keep in mind there are other options out there. If you want to find out some other options open to you check out lifehacker.